These fish are so cool they have their own trading cards. Image via WierdNWildCreatures. Have you ever pictured yourself swimming with dinosaurs? 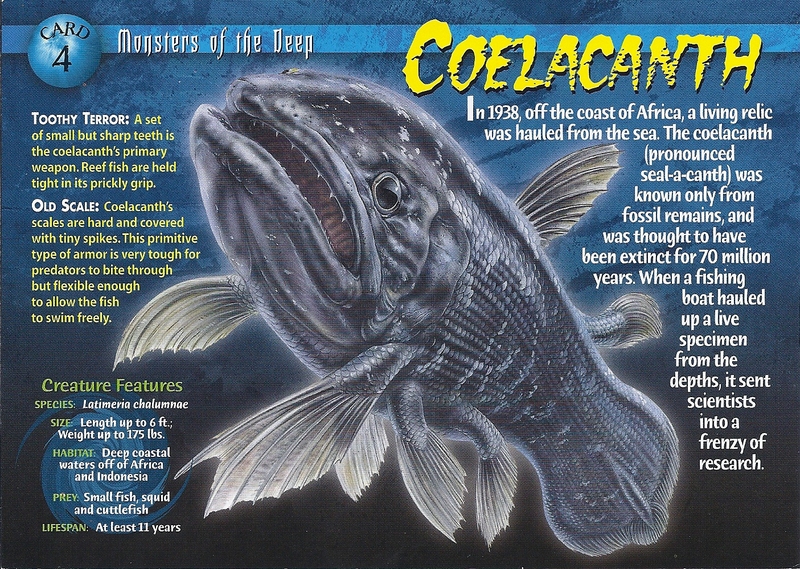 Most kids had dreams of being paleontologists at one point or another, and that coelacanth allows you to do just that! This ancient fish was believed to have gone extinct millions of years ago, and until not too long ago, the only confirmations of its existence have been fossils. A living “living fossil.” Image via Smithsonian. The first identification of a coelacanth in fossilized form was in 1836, by a scientist who actually tried using coelacanths as proof against Charles Darwin’s theory of evolution! The coelacanth resurfaced in 1938 when one was caught by a fisherman and made its way into the possession of a curator of a small museum. Despite its strange size, the museum director thought it was a grouper! The fish was eventually displayed for one day only, and it is estimated that 20,000 people showed up to view its body. This crowd size makes sense, given the historic nature of the find. Coelacanths are believed to have been roaming the waters of the world for at least 360 million years before supposedly dying along with the dinosaurs 65 million years ago. 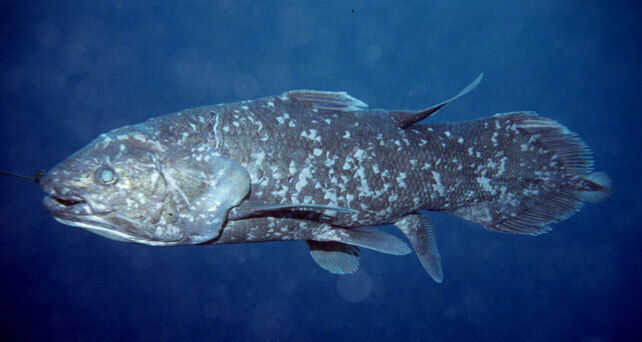 The coelacanths have several features that make them unique, including an ability to electronically scan their environment for prey, as well as fleshy legs that made some people suspect that coelacanths were the fabled “missing link,” although this turned out to be unfounded. They have also been spotted doing headstands underwater, and actually give birth to live children, instead of hatching them from eggs they lay in the water. Their brains are also minuscule, occupying only about 1.5% of their skulls, with the rest being fatty tissues. It has recently been discovered that these “living fossils” actually have lungs in their bodies that they no longer use, but that were probably critical in allowing them to survive the mass extinction that claimed the lives of so many of their contemporary species over 65 million years ago. These animals are truly eyewitnesses to history. They have remained almost the same for hundreds of millions of years, and their ancestors swam while dinosaurs ruled the earth. That’s not too bad for this bottom-dweller. Who knows what its descendants will see? All we do know is that they will probably look exactly the same. For more profiles in nature, from a deadly octopus to a $300,000 fish, read here!